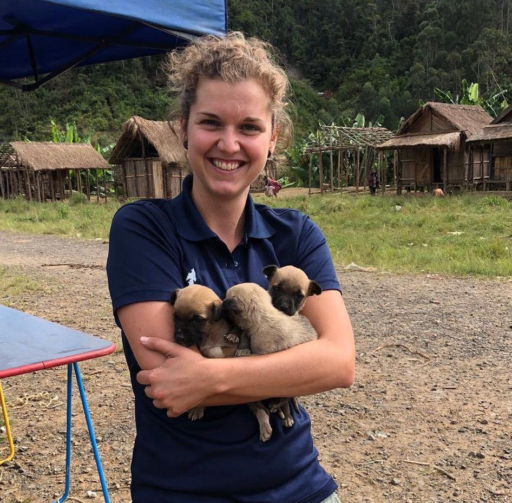 Dr. Carmen Barba Claassens grew up in a small city in the Netherlands and from a young age always dreamed of being a veterinarian that traveled abroad helping animals in need. She first realized this dream when she traveled to Chiang Mai, Thailand during her studies to complete her thesis on the Asian Elephant. In 2012, she graduated from the University of Utrecht as a Doctor in Veterinary Medicine. After working for two years in a small animal practice in the Netherlands, she left home and again travelled to Asia. 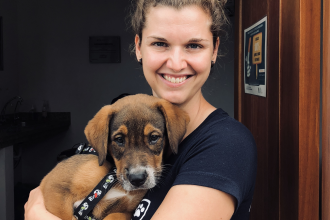 There she set up a spay/neuter clinic in Goa, India and volunteered her time with the animals in the shelter of Kathmandu, Nepal. She always had a passion for conservation, wildlife medicine and education, so it was no surprise when she moved to Ecuador to start working for a free small animal clinic on the unique Galapagos islands. She ran the Galapagos clinic for 2 years, teaching students from all over the world and providing animal health care with a team of international vets. She also managed and ran several spay/neuter campaigns: one in Koh Tao, Thailand and another near Andasibe National Park in Madagascar. In between all her travels, she loves to touch base with friends and family, so she flies back home where she does relief work to keep up to date with the newest treatment methods. In her free time, Dr. Carmen loves scuba diving. When she is not at some tropical destination, you can find her on a snowboard!